Home » Bloodline of Christ , Book of Life , Book of the living , Fallen Angels , Grace , Jesus Christ , Lambs book of life , Lineage of Jesus , Nephilim , Nephillim , Peace of God , work out your own salvation , Works » Working Out Your Salvation? Truth exposed in New Book! Working Out Your Salvation? 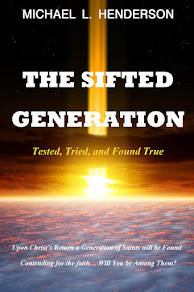 Truth exposed in New Book! Desiring to deepen your understanding of Scripture? "Those Who Are Wise Will Shine! Understanding the Work of God in Your Redemption" underscores that desire. First off, it is not a self-help book. It doesn't try to entice the believer by giving advice directly related to struggles with particular life situations. Instead, it exposes God's work as it directly relates to bringing redemption or salvation into the world. It is punctuated by the simple gospel message that it is Christ God the Father sent to relate to humanity on our level; His relational work—His becoming like us in order to truly represent us—underscores His love for us. It is His work on our behalf. Essential to maintaining proper godly and spiritual growth is the Christian's ability to grasp how God's work in our lives brings lasting peace. Colossians 3:15 states: "And let the peace of God rule in your hearts, to which also you were called in one body; and be thankful." So many Christians today are fraught with worry over their spiritual health because they feel it is up to them to make sure they push all the right buttons and pull all the right levers to make God a "happy" camper. One of the passages used to convey this need to satisfy God is Philippians 2:12, which states, "Therefore, my beloved, as you have always obeyed, not as in my presence only, but now much more in my absence, work out your own salvation with fear and trembling." Somehow many have come to think our works are what satisfies God to insure salvation. Not only is this a false belief but it only produces a contrived peace, not a true godly peace because it must be maintained. It results in a life of striving for something no one can ever attain; vis. Solomon's "grasping for the wind" (Ecclesiastes 2:17). Having that mindset is not healthy. What is missed in their interpretation is what is stated in the passage that follows. In 2:13 we read, "...for it is God who works in you both to will and to do for His good pleasure." The context for interpretation is found in Paul's statement in vs. 12a, "as you have always obeyed, not as in my presence only, but now much more in my absence..." In a nutshell, Paul was saying, "Your obedience to God was to be commended in my presence, but since I will not always be around, you will need to realize that it is God who is working His will in and through you, and that your accountability is solely to Him now. Please allow the fear of His presence and His holiness to be the help that gives you the endurance to stand when times get tough." In short, Paul was not going to be around to lead them in their daily walk, they needed to rely on God, after all, they were ultimately God's work, not Paul's. I believe, understanding this passage is key to possessing the wisdom needed to live for God spiritually while still in the body with its warring lusts. The working out of their own salvation did not mean that after they became saved they would have to keep salvation by human works of appeasement but in fact the opposite. They needed own the fact that it was God's first work in them resulted in their salvation.They needed to continue to trust Him for the future. The fact is, Salvation has never been the work of man it has always been, and always will be the work of God alone. So true peace can only come when we consider our salvation as His work and our obedience to be actions resulting from the call and gifts He bestows upon us. In this simple exhortation about laboring in this life, Jesus simply tells the crowd they should point their sights toward laboring for what He gives, that is, what He supplied and continues to supply. It has never been what we can supply to God. 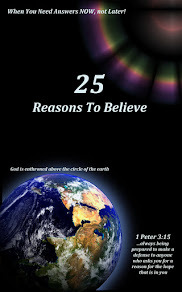 Then in vs. 29 He says the work of God is to believe. Some people have a hard time with that. How could the work of God entail believing? "It is my choice to say “yes” or “no” to what the Scripture teaches?" Yes, it is your choice, but your action is a response to His action. In this case, God has acted to deliver a message to humanity in general and personally to each individual via the Holy Spirit working through God's word. Your response is in reply to His invitation to become part of the family of God. This theoretically could be called a legal transaction. Because by accepting His call, your name is written in the "Lambs Book of life," (see Phil. 4:3; Rev. 21:27; Rev. 13:8). Currently all the living are in the "Book of the Living." (Psa. 69:28, Ex. 32:32; Rev. 3:5; Rev. 17:8) But as Psalm 69:28 specifically reveals, your name can be blotted out of this book. 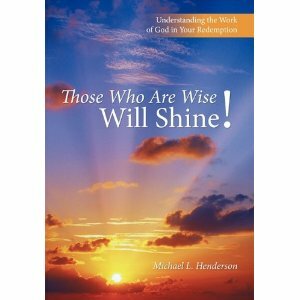 Those Who Are Wise Will Shine takes a deeper look at Redemption from the perspective of the lineage of Jesus. It starts with Adam and progresses from there tracing the bloodline all the way till it stops at Christ. Along the way, you will run into Cain and Abel, the Fallen Angels and the Nephillim; the lives of Noah and his sons Shem, Ham and Japheth; the demonic origins of the Tower of Babel and Nimrod. How God used the angels to scatter the people across the earth and divide the tongues. You will be acquainted with Abraham, Isaac, and Jacob; Joseph, Ephraim, and Manasseh; David, Solomon and the Kings of the Divided Kingdoms. And lastly, both the pre and post-exilic days of the Jewish people, and the birth of Jesus followed by the Second Advent. Literally, the lives of those who were called and accepted the call to be God's light in a dark world, are brought to life, whether in weakness or strength. In their lives we see the Lord constantly working through them or bringing the loving and disciplinary hand of a father upon them when they walked away. Truly, it is an awesome journey! God's desire has always been to bring salvation to the world. His creation, of which humanity is the integral part, is always in His sights. In this book we can learn what it really means to be a part of God's family. What it means to be responsible for bearing the holy nature of God before a lost world. The principal behind God's choice of humanity to bear the light of who He is, is starkly portrayed in the zeal that Jesus had for the Temple of the Lord in Jerusalem. On possibly two occasions we see Him driving out the wickedness the religious leaders practiced or allowed. In the New Testament we read that we are now the Temple of God. We are to be separate and different from the world, (2 Cor. 6:17). His glory resides within us. If we listen and obey Him, then we will “Shine” and His light will light the way for another to which God's love can then be reflected. As a bearer of God's light, never forget Him and never forget your created purpose. 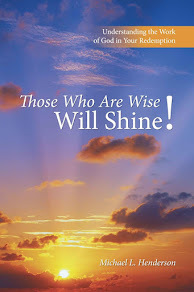 "Those Who Are Wise Will Shine!" helps you to do just that.